This makes me very proud to be a New Zealander. 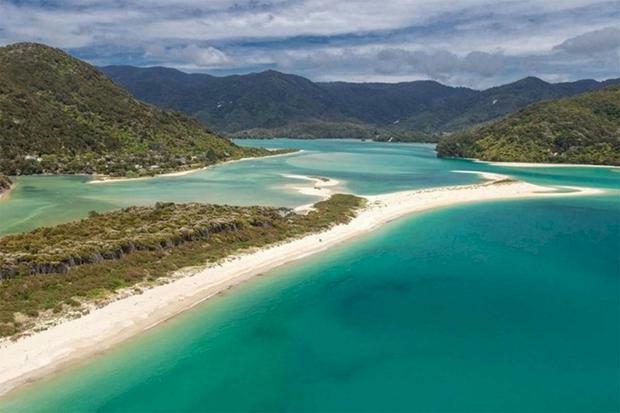 When it became apparent a pristine beach in the Able Tasman National Park was about to be sold by it’s owner and could fall into foreign ownership New Zealanders got behind a public campaign organised by Duane Major to raise funds to buy the beach so that it could remain in public ownership for all New Zealanders to enjoy. Over 40,000 people donated just over $2.278 million dollars in the Give a Little campaign. The bid was then topped up “slightly” by the New Zealand Government and the tender was accepted by the owners. The icing on the cake is that it has proven Gareth Morgan wrong. He claimed it was extremely “naive” of the public to think their offer would be accepted. Well go back to your cat hating Gareth you were wrong, and we didn’t need your offer of cash with strings attached. Ha!! Minister of Conservation Maggie Barry on Paul Henry said: “It’s an outstanding outcome and Duane and his team of people who contributed, well done. “For me, it’s the great Kiwi spirit come alive. The generosity and level of engagement New Zealanders have had is inspirational.